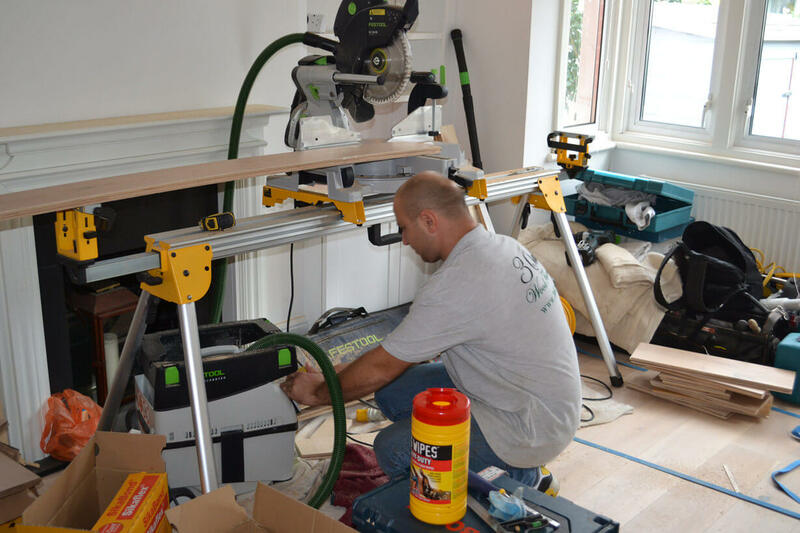 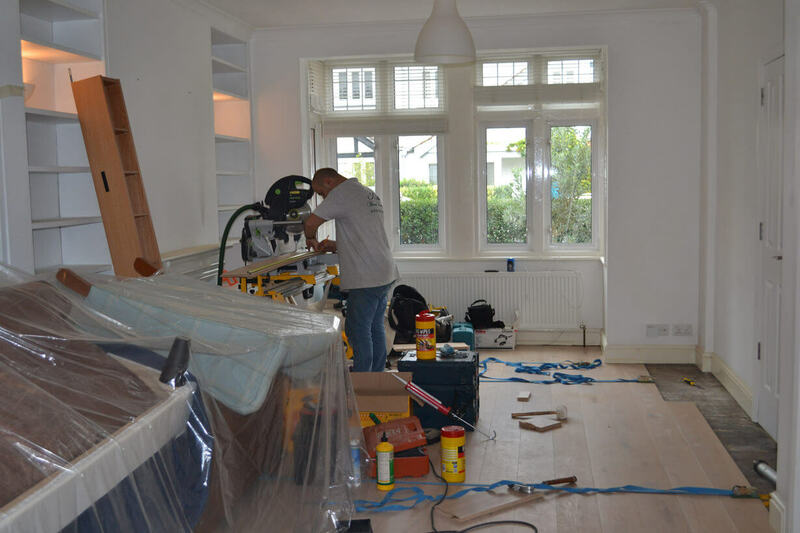 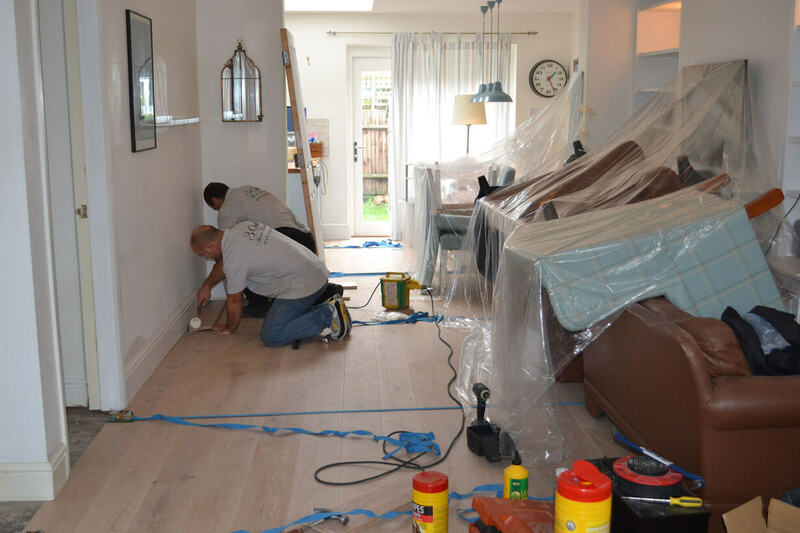 White Washed Oak flooring being installed in a clients house in Ealing, West London. 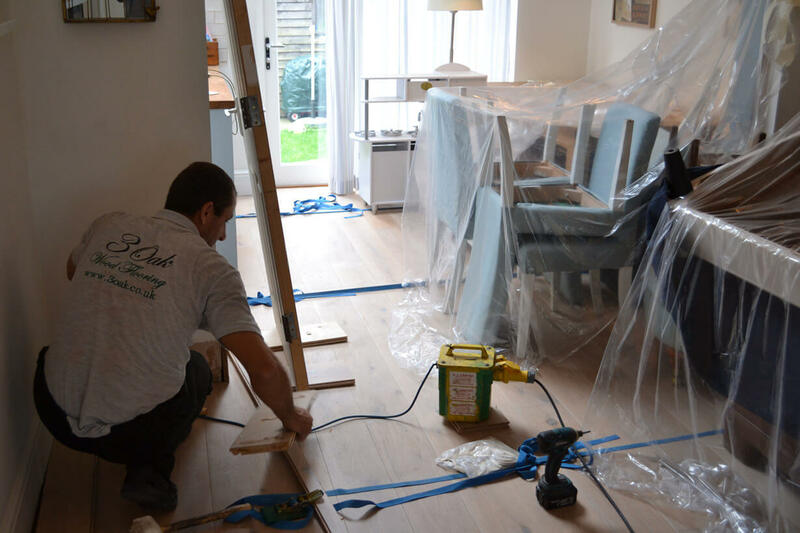 This floor is 21 mm thick and the boards are 180 mm wide. 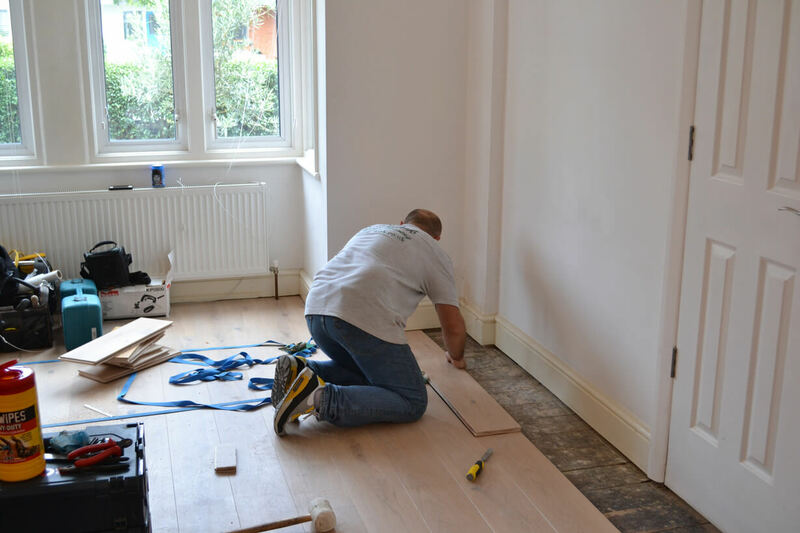 This flooring was installed throughout the ground floor of the house. 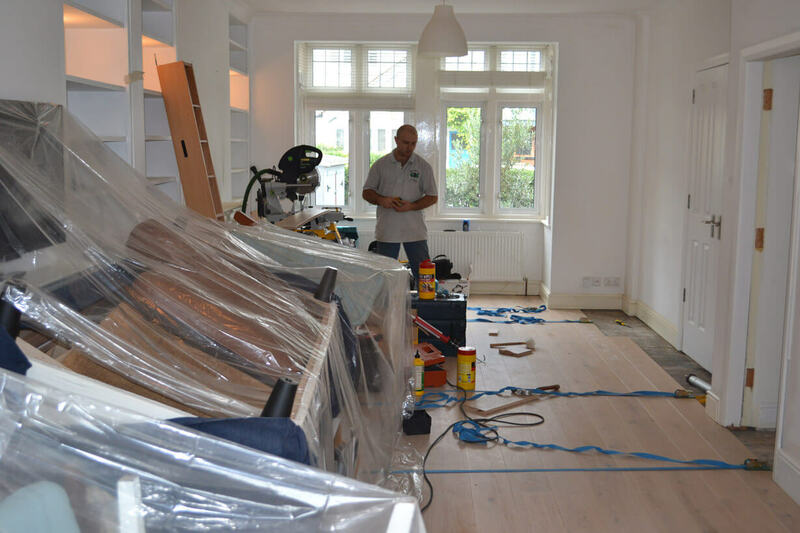 This was a character grade floor, supplied and installed by 3 Oak. 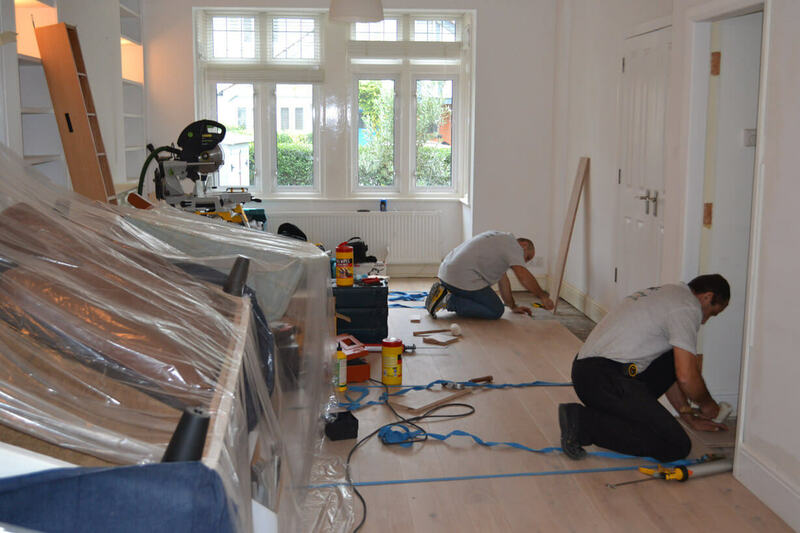 For more information on this flooring, please see the Wood Flooring section of our website.